Facet Syndrome or more commonly spinal arthritis is a condition which causes back and neck pain. This pain can be experienced in any part of the back or the neck. It affects the facet joints present throughout the spine of the body. These joints tend to get worn down with the passage of time. Facet Syndrome mostly affects older people but it can also affect youngster as well if they have encountered serious trauma. Sometimes this problem can also happen in young people due to overuse as well. Facet syndrome can be very painful and may result in debilitating the patient. However, if the condition is diagnosed at an early age and treatment is started in a timely manner then the pain experienced can be greatly minimized. Facet Syndrome is usually caused due to the wear and tear of the facet joints. These joints have cartilage present in between them which allows for smooth movement of the joints. With the passage of time this cartilage begins to erode resulting in friction in between the joints. This friction causes inflammation and tenderness in the bone which eventually starts causing pain. In addition to old age, there are many other factors that can cause facet syndrome. The following are some of the factors that can lead to facet syndrome. What Treatment Plans Help with Facet Syndrome? Although facet syndrome is a chronic condition, the pain felt by the patients can be largely reduced by using one of the many treatment methods that are available. 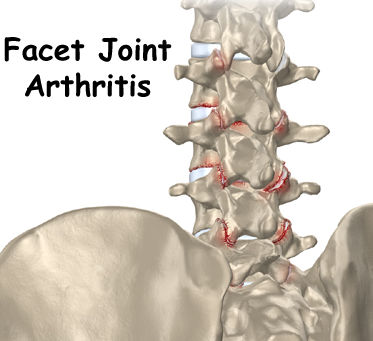 Facet joint injections are one of the most common and proven treatment option for relieving facet syndrome pain. According to National Spine Pain Centers, the facet joint injections are among the most accurate and precise diagnostic tools that can provide long-lasting results for patients suffering from facet syndrome. Radiofrequency Neurotomy is another treatment method that is usually prescribed for patients of facet joint syndrome. 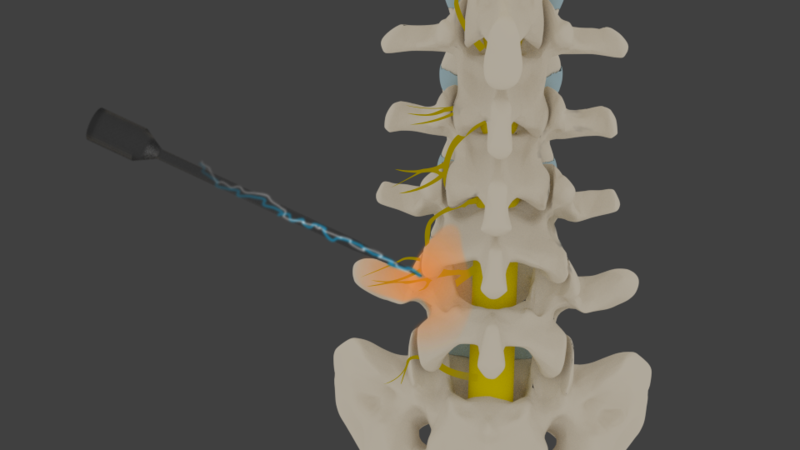 In this method, the nerves surrounding the facet joint where the pain is being felt by the patient are thermally cut, interrupting the nerve signals. Anti-inflammatory drugs like NSAID’s can also be used for alleviating the pain that is associated with facet syndrome. How is Facet Syndrome Best Treated? Spine Health notes that physical therapy is the best means of quelling the pain caused by facet syndrome. However, the physical therapy must be performed under the supervision of a trained physiotherapist. What is the Prognosis of Facet Syndrome? The treatment methods available for facet syndrome are very effective and significantly reduce the pain felt by the patient in his back or neck. With the medical and interventional treatments available, over 95% of patients are able to achieve a satisfactory level of pain relief and avoid surgery. Seattle Pain Relief offers comprehensive treatment options for facet related pain in the neck, midback or low back. Call for pain management Seattle trusts today at (206) 536-3007! 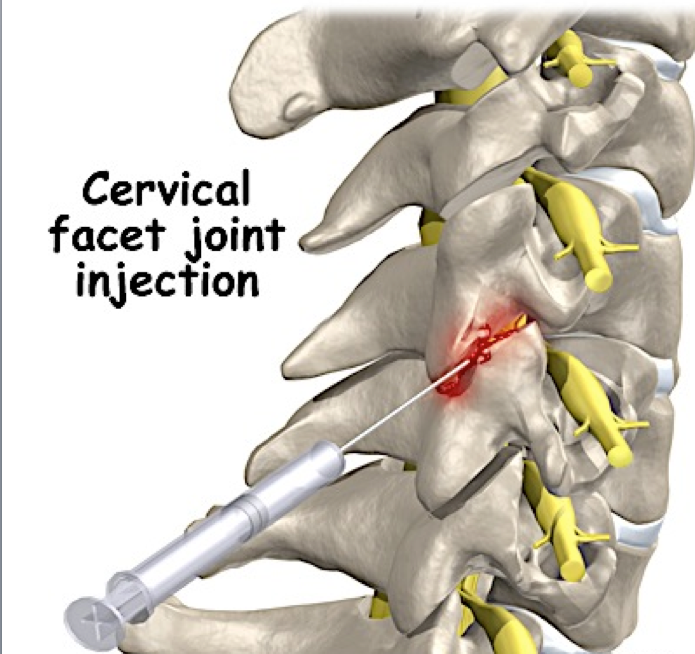 “Facet Joint Injections | Treatment for Spinal Arthritis or Facet Pain.” National Spine Pain Centers. N.p., n.d. Web. 25 Sept. 2014. 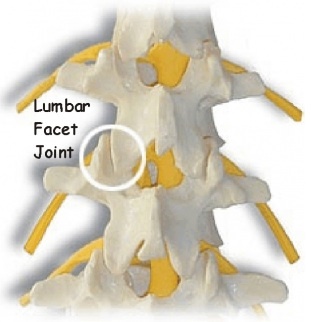 “Treatment Options for Facet Joint Pain.” Spine-health. N.p., n.d. Web. 25 Sept. 2014.